Raymarine is killing it with their Dragonfly series of fishing electronics. The Raymarine Dragonfly 7PRO is the biggest and brightest sonar of the Dragonfly series. The 7PRO is a full featured unit with all the bells and whistles and can be had for $500 or less. I think this unit would be great up front on the boat, or as the main unit for a small tin. This unit is the real deal. 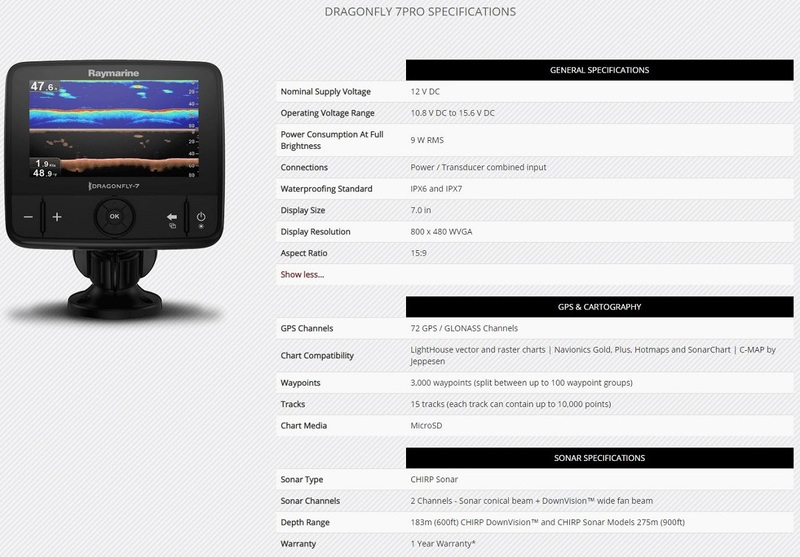 What other unit offers Ultra wide DownVision and a fish targeting sonar in one portable unit for under $500. I like how they offer all sorts of accessories for this unit depending on how you want to use it or where you want to mount it. I’ll take this review from you-tuber A Weaver. Even though he is on a Kayak instead of a tin, we’ll cut him some slack. Thanks, A weaver for taking the time to post this up on YouTube.